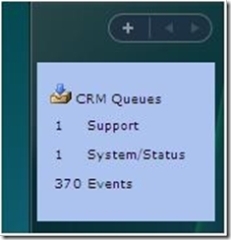 CRM MVP Scott Colson shares with us a solution that his company recently released. 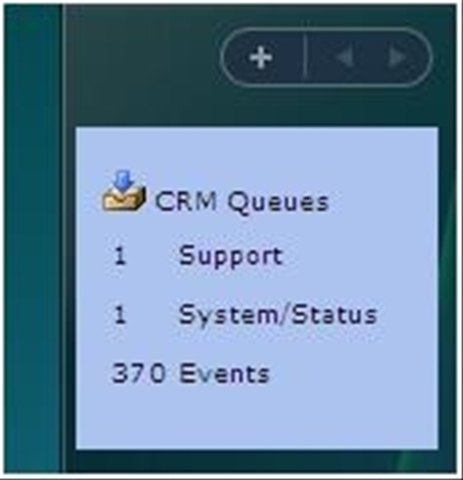 Way back when CRM 1.0 came out, we embraced email enabled queues as a key responding to our clients support requests. By replacing an email distribution list with a queue we eliminated the problems we often had where two or more people would start responding to an issue at the same time. Now the first person that can work on the issue takes it off of the queue. However queues introduced a new problem for us. When we used a distribution group everyone knew about the problem immediately. With queues we had to remember to go check the queue regularly to see if anything was in it. To get around the problem we created a small Windows application that installed on each workstation and then popped up a message indicating how many items there were in each monitored queue. This worked pretty well for us until we started upgrading to Vista. We had purchased a specific VB control to pop up the message and that control would not work with Vista. We decided to start over and embrace the new world of Vista Gadgets. In keeping with our original design, we opted for a two tiered solution with a dedicated webservice on the CRM server and code in the gadget that consumed data from the webservice. Richard Riddle, our lead CRM developer did all of the coding on this one. We hope you find it useful.